Carpeting is still a major part of the home or office and keeping the carpets clean means you’ll need to do a little more than you might be used to. First of all, carpets aren’t like linoleum, hardwood, or flat surface flooring. You know that already but far too many people take care of their carpets as though they are and that’s not a good thing. Think of carpeting like your dog or cat’s fur. It’s deep rooted and needs to be be cleaned not only at the surface but at the base or the roots. A vacuum cleaner is the tool of choice, but if you don’t do deep cleaning you’re defeating the purpose. The reason for this is because dirt, particles, and those nasty allergens, get in deep and a simple passing over with a vacuum cleaner just won’t do the trick. It’s sort of like farming. You look at the area you need to tend to and apply the maintenance you need to get the optimum effect. To do this, you need to look at where the high traffic areas are. What areas do the kids and pets favor? Open windows nearby? These are the areas that you need to do the most vacuuming on. Don’t just give them a simple two or three passes, go for broke and set the vacuum for the deep carpet cleaning and pass over the areas around 12 times. This will ensure that the dirt and other particles are lifted up. One needs to do this at least once a week. The longer you wait, the more particulates accumulate and can cause trouble. A good vacuum cleaner should have settings for deep cleaning and in those areas along baseboards and walls, the extensions that come along with the vacuum come in hand and should be used. Timing is important. If the family gathers in the den or playroom on Saturdays for those movie nights, then it’s best to clean up right after or the next day. Same goes for holidays as there is more traffic and often packaging like presents opened can leave materials that can get ground into the carpet. A regular schedule of cleaning can keep your carpeting in great shape and prevent damage to the underlying floor and prevent discoloring. Shampooing the carpet is important too and using just the right solutions is paramount. This should be done at least once a month but no more than that as it could damage the carpet. Overall, a simple and smart maintenance of your carpeting can make it last for years. 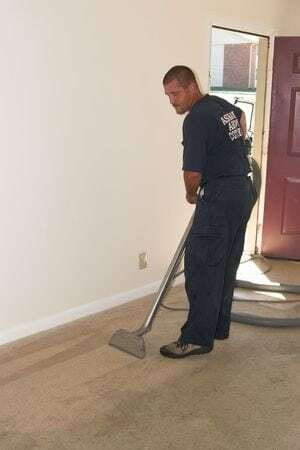 This entry was posted in Carpet Cleaning, Cleaning Service, Home Cleaning. Bookmark the permalink.